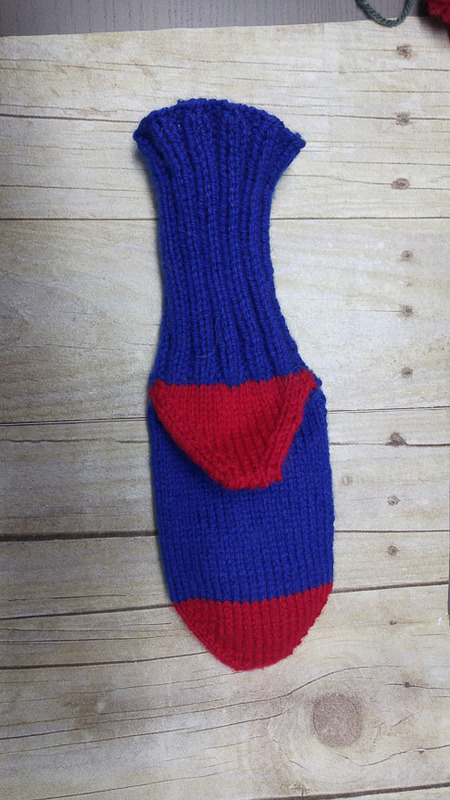 Another class I am enjoying at Craftsy is called “Toe-Up Knitted Socks” by Susan B. Anderson. You can find other class and pattern info at Susan’s blog. If you go to Ravelry and look up toe-up socks by Susan, you will find a 50% off coupon for her Craftsy class. The class is great because there are videos every step of the way. You can also ask questions and get feedback. I have knitted socks before, but this was my first time knitting from the toe up. 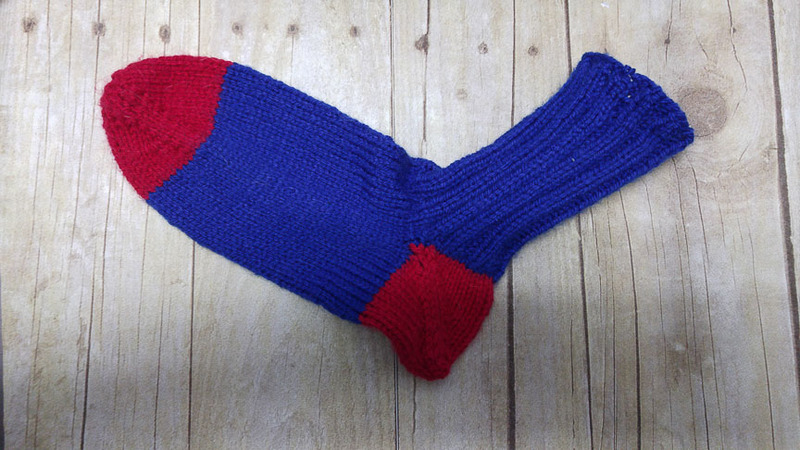 In the class you are given a pattern to make your socks using worsted yarn or finger weight yarn. I like using bigger yarn when I am first knitting something so that I can get used to the stitches. 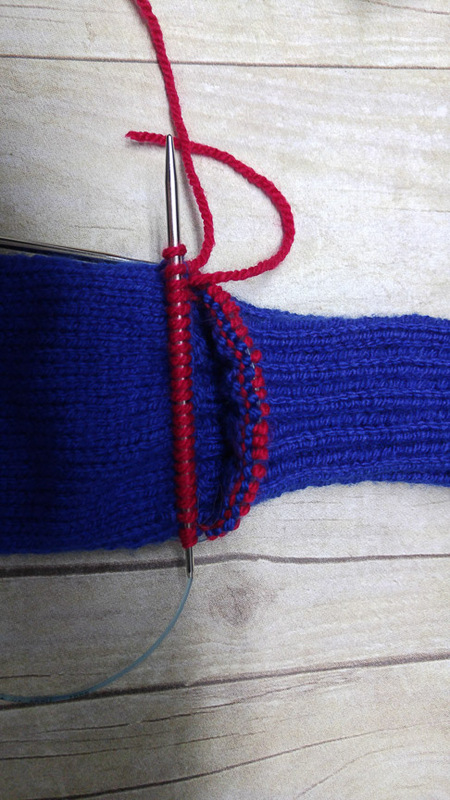 She also shows you how to knit these socks on both DPN and circular needles using the magic loop. Pattern by Susan or Sign up for the class, worsted or finger weight yarn, knitting needles (Size 1 or 2 DPN – OR – Size 5 circular needles at least 32″ long), yarn needle, ruler or tape measure, scissors and detachable stitch markers. 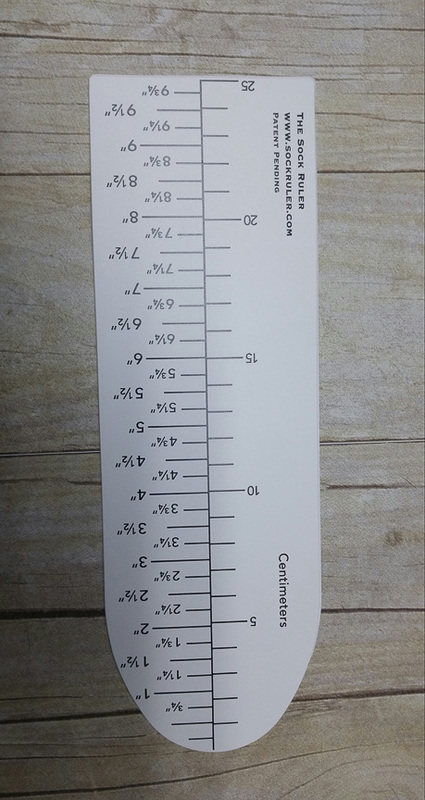 EXTRA ITEM: You can use a sock ruler to keep track of the length of your sock. 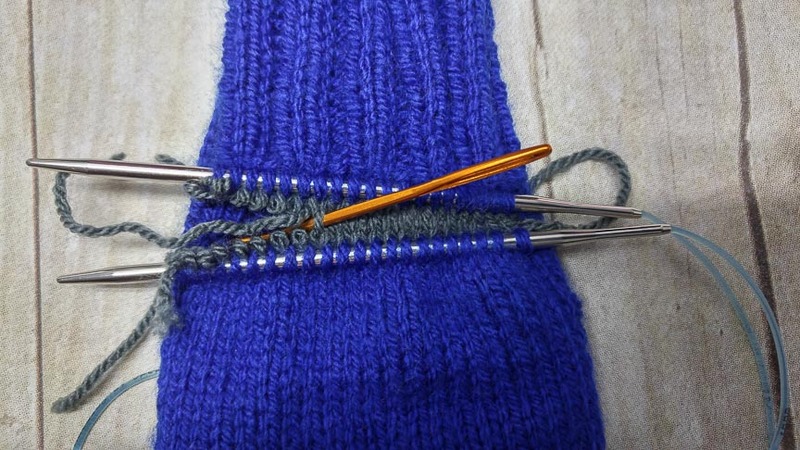 You just slip it inside the sock rather than using a regular ruler over the needles. You can find the sock rulers HERE. 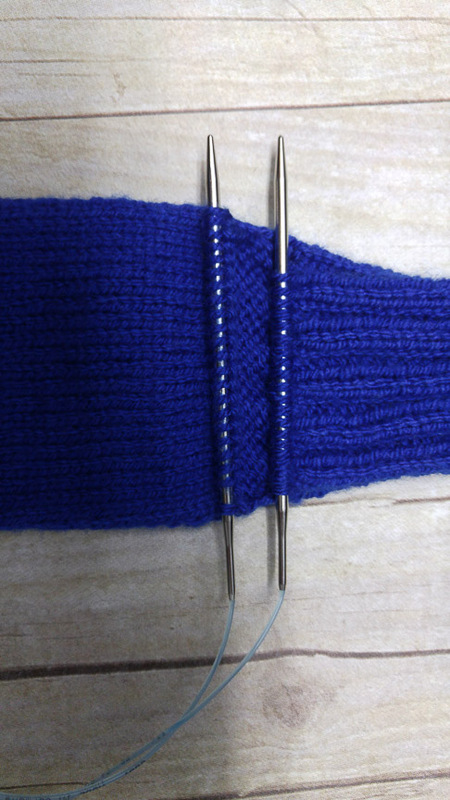 If you have the pattern I am making the size small in worsted weight on circular needles. I have knitted the toe started on the foot. I decided to go with a color change on this sock. 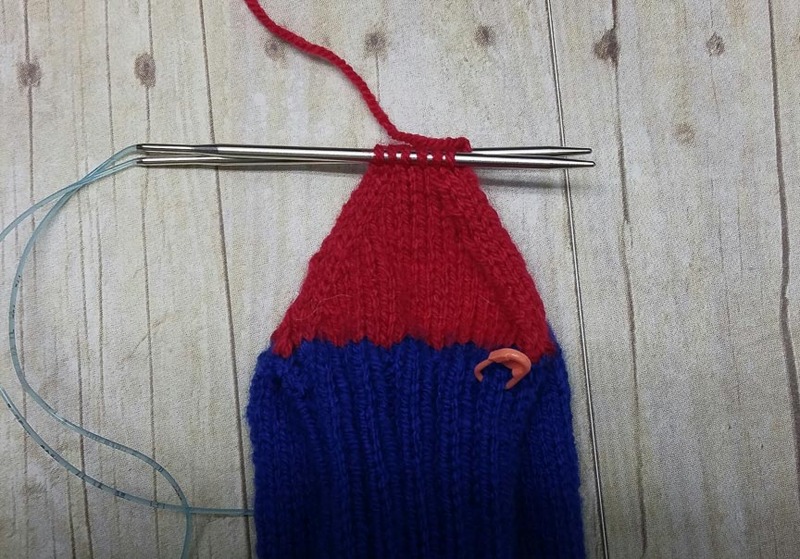 I am going to make the heel of the sock red as well. 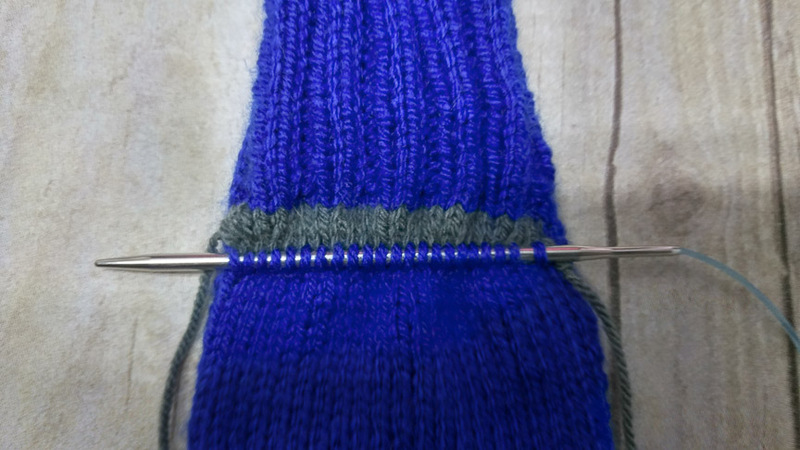 Almost approaching the length of sock I need, minus 2″ for the afterthought heel. I am using scrap yarn (gray) to keep the place of my afterthought heel. I heel will be the very last thing I make on the sock. Afterthought heels are nice because it allows you to take out and change just the heel of your sock if you ever wear through your socks or get a hole. 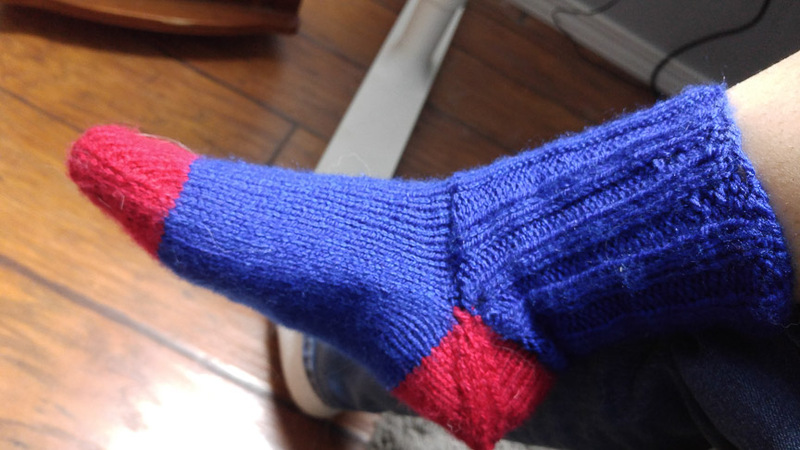 It will save you from having to knit the whole sock all over again. A view of the back. 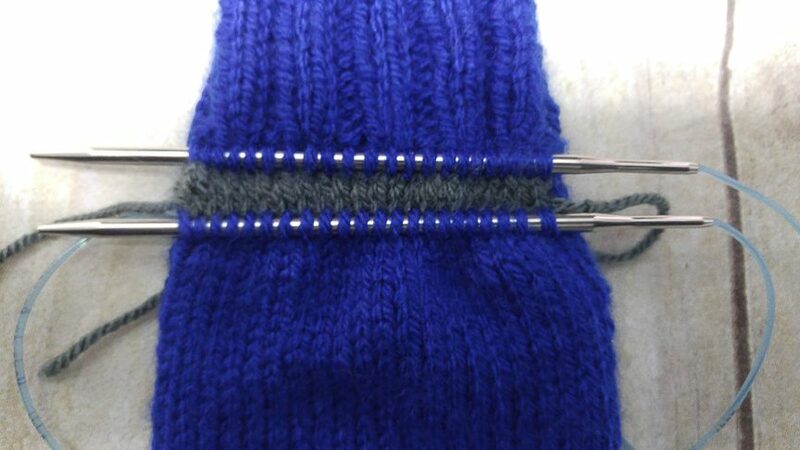 When I am ready to make the heel, I will just pull out these stitches and replace them with 12 rounds of knitting. At this point, I am ready to start at the leg of the sock. Top view of my sock with the cuff knitted about half way. Bottom view of my sock showing the gray waste yarn holding the place of my heel. Finished with most of the sock. I still need to knit in the heel. These are the waste stitches I need to pull out. They are holding the space of the heel. 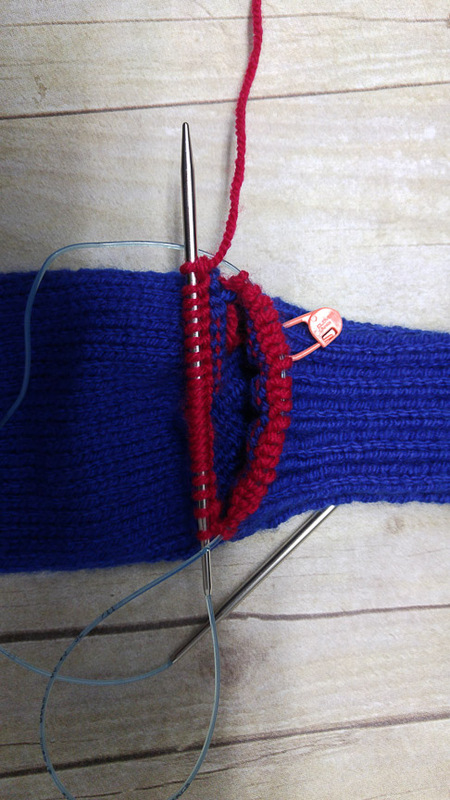 Inserted needle in row beneath the waste yarn to pick up stitches. Picked up stitches on the row above the waste yarn. Very carefully ripping out the waste yarn. If all goes right, my space will be held. Stitches all picked up and ready to start on the heel. First row of heel, including extra stitches to close up the gap. 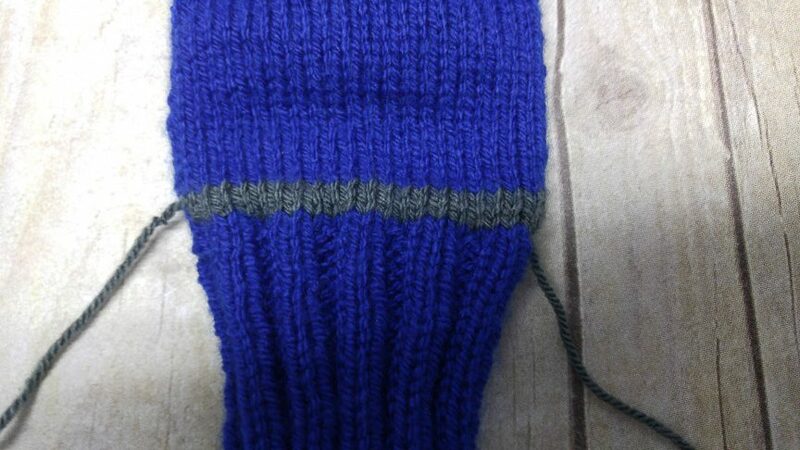 Second row of heel with gap decrease. Ready to begin the Kitchener stitch to close off the ankle. Ready to take the sock and block it. Trying on my sock before I block it. That’s so so cool! I’ve never seen a sock pattern where the heel is removable/easily changeable.